Air distribution for clean rooms. Clever and flexible. The X-CUBE CROFCU is a compact ventilation unit that ensures and maintains the essential conditions for all classes of clean rooms. The secondary unit for use with centralised ventilation and air conditioning systems is typically installed in false ceilings. 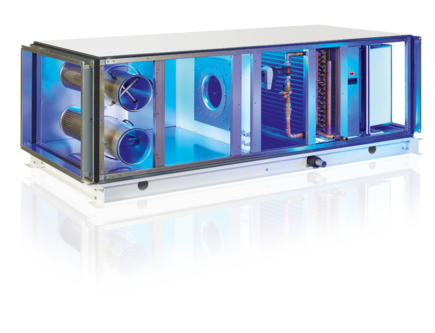 It dissipates high thermal loads and requires only a low fresh air volume flow. The primary air system (patent pending) allows for the direct removal of exhaust air while fresh air is supplied to the room.